Until the patient’s death, Agnes Leahy had been a special nurse for Mrs. Marvin Mason; afterwards, Agnes took on the assignment of caring for the widower, who was ill of a serious but operable heart condition and who needed to overcome his depression and sense of loss before he would be ready for surgery. 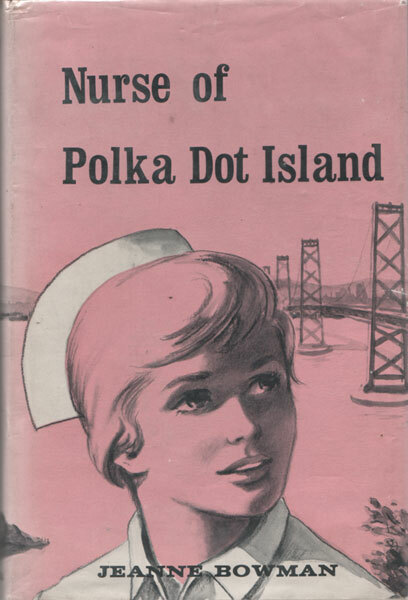 Fortunately, his hospital room gave him a view of Polka Dot Island in the Bay, where he had a home and where he had spent many happy years; and this, plus Agnes’ soothing ministrations, promised to build up his strength. The nurse, however, had worries unknown to the old man: concern lest his son, the apple of his eye, who had been mysteriously burned and come to Agnes for treatment, be the arsonist responsible for an epidemic of local fires. Agnes felt her duty to the patient lay in concealing her suspicions. On the other hand, she was in love with the deputy sheriff, who had a right to know.